Ejay Filtration is always innovating and inventing new, more efficient solutions for the most difficult problems. The precision filtration devices, restrictors, strainers, fuel filters and other products are made according to the needs of the process and designed for the highest level of efficiency. The Teflon Ring collar uses a combination of innovative engineering and exceptional materials to create a product that adapts to the needs of the process and provides the highest level of performance. 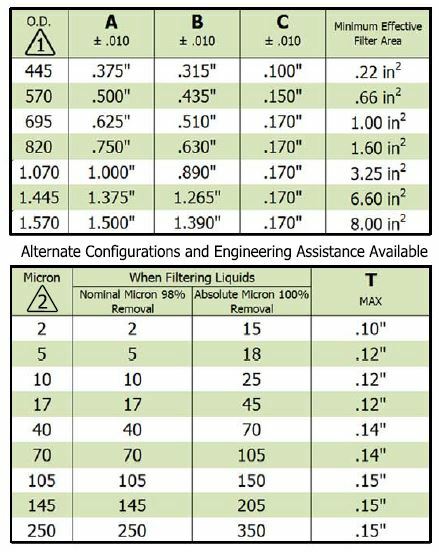 The Teflon Ring collar conforms to the disc flange under pressure to create a positive micronic seal. 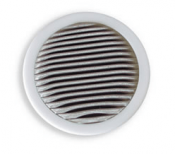 This makes it easy to install, allows the item to conform to the needs of a number of different applications, and provides a tight seal for the filter disc. 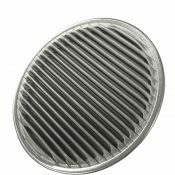 Order the Teflon Ring collar for stainless steel pleated filter discs and contact Ejay Filtration for more information on product customization. 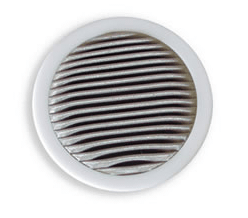 A Teflon collar capturing the pleasted filter disc provides a complete and micronic seal as a result of the material’s coldflow characteristics. When compressed, the ring conforms to the irregularities of the mesh disc flange and the installation mounting surface.